Jarrod Bowen cancels out Britt Assombalonga opener. Highlights of the Sky Bet Championship match between Hull and Middlesbrough. 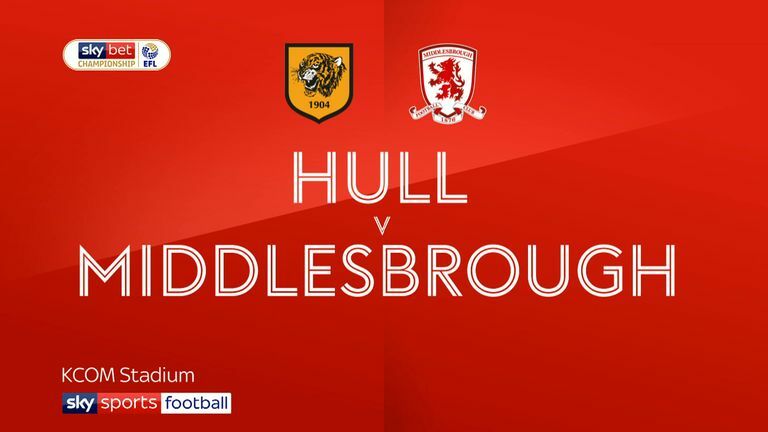 Middlesbrough missed the chance to go top of the Championship after being held to a 1-1 draw at Hull City. Boro took the lead through Britt Assombalonga just after the break, but were denied all three points after Jarrod Bowen converted a penalty for the hosts. The result means Boro drop to third after West Brom's win at Preston sent them top, ahead of second-placed Leeds. The Tigers made a much better start than their visitors, belying the 11-point gap that existed between the two sides at kick-off. Bowen should have put the hosts in front after just four minutes but placed a header wide of goal after being picked out expertly by returning winger Kamil Grosicki. Grosicki - making his first start for City in five months and his first competitive start since Poland's 1-0 win over Japan during the World Cup - was in the thick of the action early on and was put through on goal only to be blunted by the imposing figure of Aden Flint. 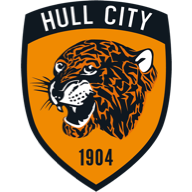 Hull were well on top and skipper Markus Henriksen saw a daisy-cutter just fly past the post of Darren Randolph on 10 minutes. Flint then nodded wide for Boro from a corner soon afterwards while Assombalonga directed a shot wide of goal after a good counter-attack. Both defences were on top for the remainder of the half, with chances limited and a succession of stoppages affecting the early flow of the game. Boro came out after the restart full of energy and full-back George Friend signalled their intent by fizzing a shot just over. But it was not long before the strong travelling support from Teesside had something to celebrate, when they went in front on 51 minutes. Jonny Howson whipped in a ball from the right and Assombalonga was in the right place to tuck the ball home for his fourth goal of the campaign. Just a minute later Assombalonga was put in again, but this time home stopper David Marshall was able to get behind the hitman's fierce effort and keep him at bay. Bowen then curled a rasping effort over the bar as Hull searched for a quickfire response. At the other end Flint came within a lick of paint of doubling their advantage when he rose highest to a throw-in but his header grazed the top of the City crossbar. 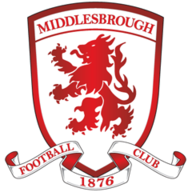 With a quarter of the game left, Boro handed the hosts a lifeline when Daniel Ayala clumsily fouled Chris Martin in the box to concede a penalty. From the resulting spot-kick Bowen made no mistake and slotted past Randolph. Nigel Adkins' side were buoyed by the goal and stepped up their pursuit of a winner, with Bowen always looking a threat going forward. Henriksen almost capped off an impressive move but his tame attempt was dealt with by Randolph, who was the busier goalkeeper as the game approached its latter stages - although Marshall had to be alert to keep out Howson's downward header late on. Nigel Adkins: "We competed very well today because we knew this would be a really challenging fixture. We didn't realise at the time, but Boro's goal is offside. We didn't get that little bit of fortune, but we responded in the right manner and kept going. "That was important and we kept playing good football. Their defender has made a challenge and the referee had a decision to make (penalty). Bowen has finished it well and it was a point that I think we thoroughly deserved." Tony Pulis: "We need to get more goals. We have to take the chances in the final third and be more clinical. You've got to be 100 per cent every game, but today I didn't think we controlled the ball enough. We had some great chances. "But after we got that first goal, we had chances to get more and take the game but we didn't. We just need to be more clinical and I think we are getting there slowly."